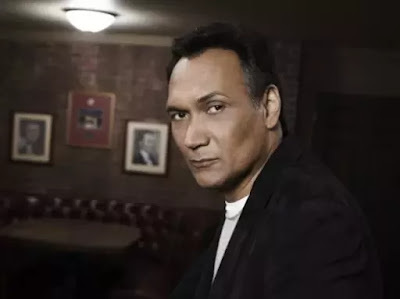 Veteran actor, Jimmy Smits, has a new gig on Fox's "24" revival pilot as an ambitious U.S Senator looking to move up politically. "24: Legacy" replaces Kiefer Sutherland's Jack Bauer with Corey Hawkin's (Straight Outta Compton) Eric Carter who returns home from overseas to find trouble has followed prompting the help of CTU to stop potential terrorist attacks on U.S soil. The Emmy and Golden Globe winner, Smits, has had a long and varied career. Recently of 'Sons of Anarchy' and will be appearing next on Baz Luhrman’s new Netflix series 'The Get Down,' Smits is no stranger to playing politicos. When he's not playing lawyers on L.A. Law, Dexter, or detectives on NYPD Blue (yes, Cop Rock still counts) he's been a congressman on The West Wing and Senator Bail Organa (Princess Leia's adoptive father) in the polarizing Star Wars prequels. He joins newly cast members like Teddy Sears (The Flash) and Miranda Otto (War of the Worlds, Lord of the Rings) who'll play Smits' wife, "the blazing smart former head of CTU." '24' veteran Stephen Hopkins will be directing the pilot in hopes it gets a season order. '24: Legacy' will be executive produced by Howard Gordon, Manny Coto, Evan Katz and Brian Grazer.